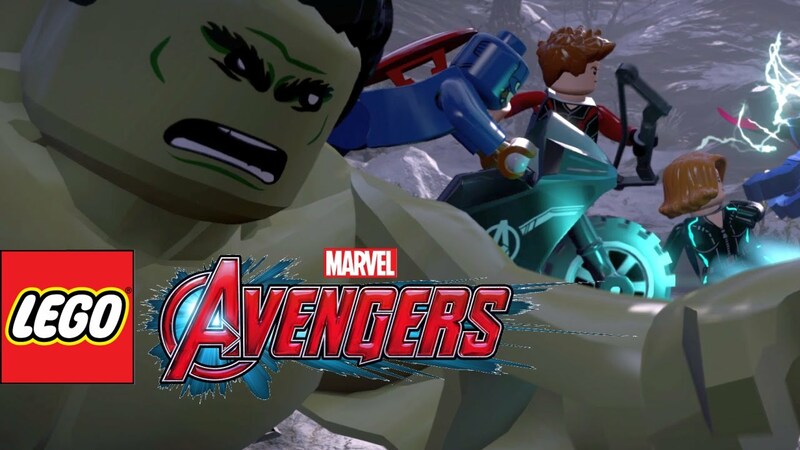 The latest installment of the Lego video game franchise is one of particular interest to Marvel fans. 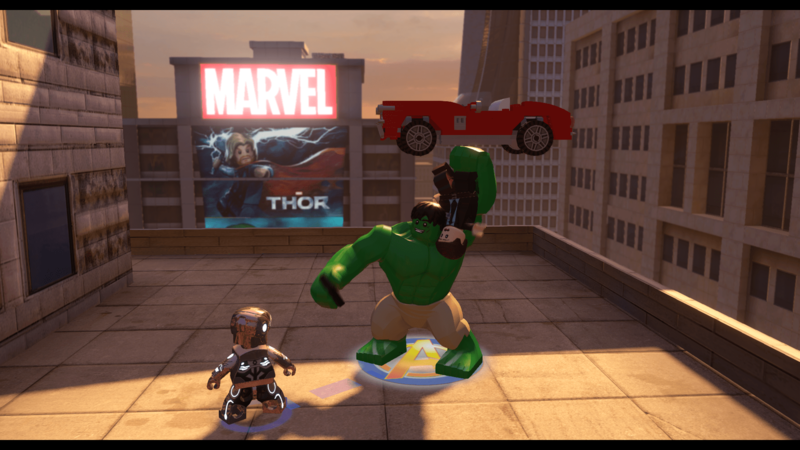 Lego Marvel’s Avengers is a game that Marvel fans young and old will not want to miss. The game contains over 200 playable Marvel characters, which are unlocked in a variety of ways. You can play missions/levels that have specific goals, using predetermined characters. Once a level has been successfully completed, you unlock characters from that level. Then you can go back and replay that level in “free play” using any character that you have unlocked. Each level has certain items/objects that require specific powers to destroy/open them so you’ll have to go back and replay each level if you want to find everything in that level. For example, certain items are dug up so you need a character with digging abilities like Wolverine or Squirrel Girl. If you don’t have a digging character in the actual mission, you’ll have to go back and use a digging character to dig up that mysterious item under the ground! In addition to the missions, there are free roaming areas like Manhattan (which is H-U-G-E), Asgard, Washington DC, Barton’s Farm and Malibu. People who played the previous Lego Marvel game will already know their way around the city as it’s pretty much laid out exactly the same in this game (except with all new placement of items throughout the city). 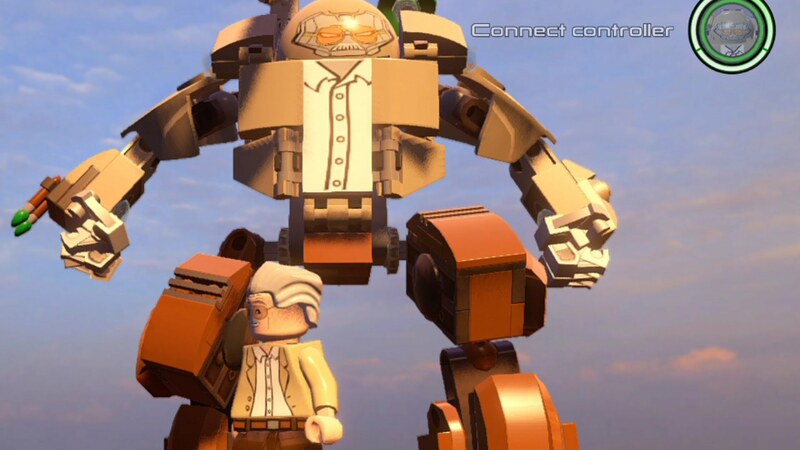 In the Lego video game world, studs are currency. You accumulate studs by destroying just about anything tangible in the game (light poles, trash cans, small trees, cars, you name it) and different colored studs are more valuable than others. Those studs are used to buy new characters and red bricks. Red bricks are expensive, but well worth the investment. There are studs x2, studs x4, studs x6, studs x8 and studs x10 red bricks, which are multipliers for when you are accumulating studs. But they are cumulative, so if you acquire the x2, x4 and x6 red bricks, you will accumulate studs at 48 times the normal rate. At the time of this review, we had over six billion (yes with a B) studs in our game. Crazy! Other red bricks include fast dig, fast build, minikit finder, gold brick finder, Stan Lee in Peril finder and more. Minikits are kits that you can build within a level – there are ten minikit pieces in each playable level. Get all ten and you’ll unlock an in-game comic book. You also get to rescue “Stan Lee in Peril”. In each level, Stan Lee is trapped somewhere. If you’re having a hard time finding him, listen for his voice. You’ll hear his cries for help when you are near him. If you rescue all of the Stan Lees, you get to unlock this bad boy right here! Yep, that’s the Stan Lee Hulkbuster. Can we get a figure of that, please?? 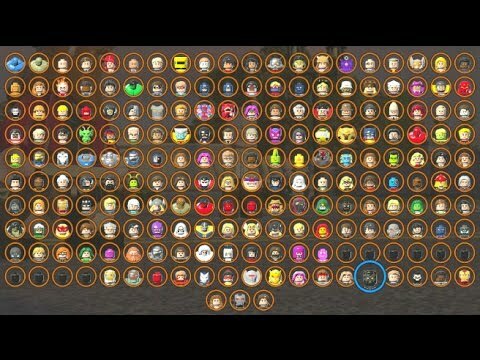 We mentioned that there are over 200 playable characters in the game. Those characters are unlocked in a variety of ways. Some by completing missions, others by obtaining character tokens and then buying the playable character. There are also a variety of vehicles you can use (some you can drive and others that you can fly). Our favorite was Lola (shown here, and yes The Hulk is holding Coulson upside down, and taking a Hulk Selfie). Now that we’ve covered the basics of the game, let’s get to the really fun part – my favorite part. 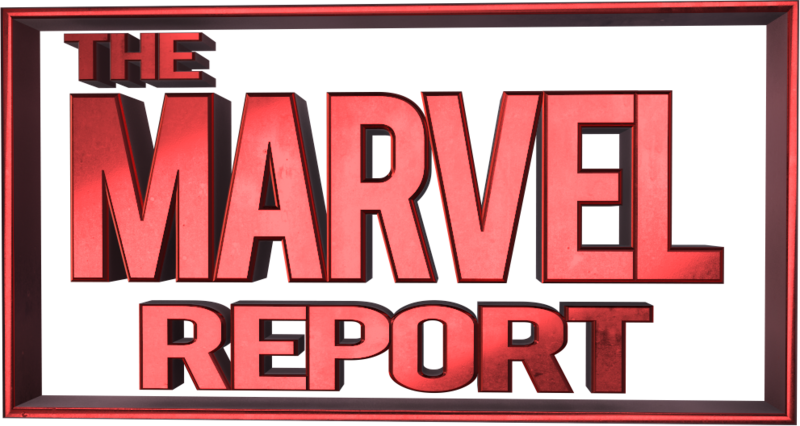 If you’ve played the previous Lego Marvel video game, you may look at Lego Marvel’s Avengers and think “I’ve already played this game”. Oh no you have not. Because this game ties in with the MCU. A lot. 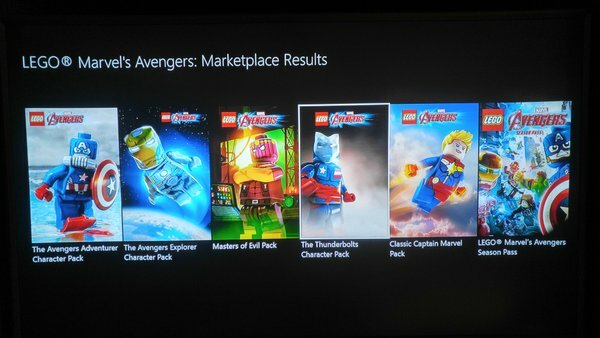 For those who have already played the Lego Marvel game, the levels/missions in this game are pulled right from the movies (Avengers, Age of Ultron, Winter Soldier, Dark World and Iron Man 3 to be exact). The game opens with the opening action scene from Age of Ultron. From there you basically play out almost the entire movie, in glorious Lego form. Another cool thing about this game compared to the previous one is the addition of finishing moves and combo moves. Each character has a finishing move, so that when they approach a bad guy, they can tap on a certain button and perform a cool finishing move on them. Also when two playable characters go near each other, a dashed line will appear between the two and they’ll be able to combine their powers for a dual attack. The attacks vary depending on the characters but just think of Thor hitting Cap’s shield in Age of Ultron, and the damage that resulted. But the very, very best part of this game, what makes it so special to the diehard Marvel fan is the fact that actual audio is used from the movies. And it’s used a lot. You might be in the middle of a battle and hear Chris Evans say “You get killed, walk it off”. There is a cut scene where Quicksilver takes Scarlet Witch from Hawkeye, runs off and says “Keep up, old man”. The audio is right from the movie. The two Avengers missions are quite long, and as I said practically play out the entire movies. There are also missions from Thor 2: The Dark World, Iron Man 3 and Captain America: The Winter Soldier. Those missions don’t play out the whole movies but are still a ton of fun, with plenty of movie quotes. To our delight, Clark Gregg is back as Director Coulson, who along with Cobie Smulders / Maria Hill are the narrators of the game. Coulson makes a lot of funny, relevant quips as you are buzzing about in New York. He makes a few hand jokes, which if you watch Agents of S.H.I.E.L.D. are downright hilarious. But my favorite goes something like “I would help out but I’m busy making lip syncing videos to popular songs…for research” referring to the recent Dubsmash War that Agents of S.H.I.E.L.D. had with Agent Carter. Hearing that in Clark Gregg’s voice had us rolling on the floor. Seriously, a playable Ant-Thony??? OMG. My son and I already have a ton of hours under our belts with this game, with undoubtedly many more to come. This game is crazy loads of fun for anyone who is a fan of Marvel and especially the MCU. You would undoubtedly get more than your money’s worth with this game.